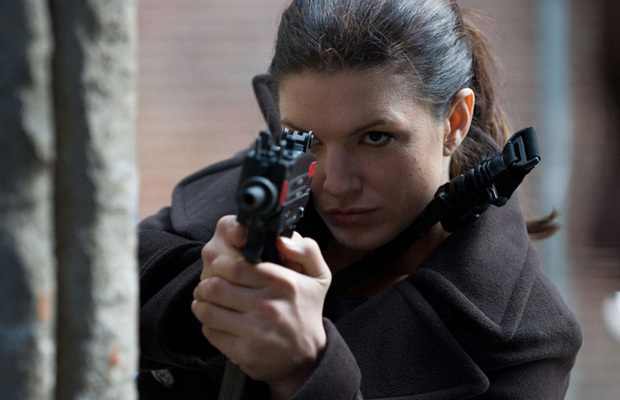 According to a report by The Hollywood Reporter, actress Gina Carano (Fast and Furious 6) has officially joined the cast of 20th Century Fox’s film Deadpool, staring Ryan Reynolds. Carano will take on the role of Angel Dust in the X-Men spin-off, a character from the comic books who has not been featured in any of the X-Men films. Fans of the comics will recognize Angel Dust as a member of the Morlocks, “a group of mutants that live in tunnels deep beneath the surface of Chicago,” due to the fact that they cannot be a part of society because of their mutant abilities. Although the plot of the film has yet to be announced, the character of Deadpool in the comics is dying from cancer when he undergoes a procedure meant to cure him; however, the procedure instead scars him and leaves him with super-powers. Comedian T.J. Miller will also be featured in the film along with the Russian X-Men character of Colossus. The film will be directed by Tim Miller, produced by Lauren Shuler Donner, and is set for release on February 12, 2016.